The Ohio Expo Center and State Fair have partnered with and negotiated on your behalf, special year-round rates and facilities with nearby hotels to help make your visit the best stay ever. Ask for the OEC/OSF special year-round rate! Click the hotel name to be directed to their website. Click the distance description to be directed to Google map directions from the Ohio Expo Center to that hotel. From I-71 in downtown Columbus, take Exit #111 to 17th Avenue West, and the main fairgrounds entrance is on the left. 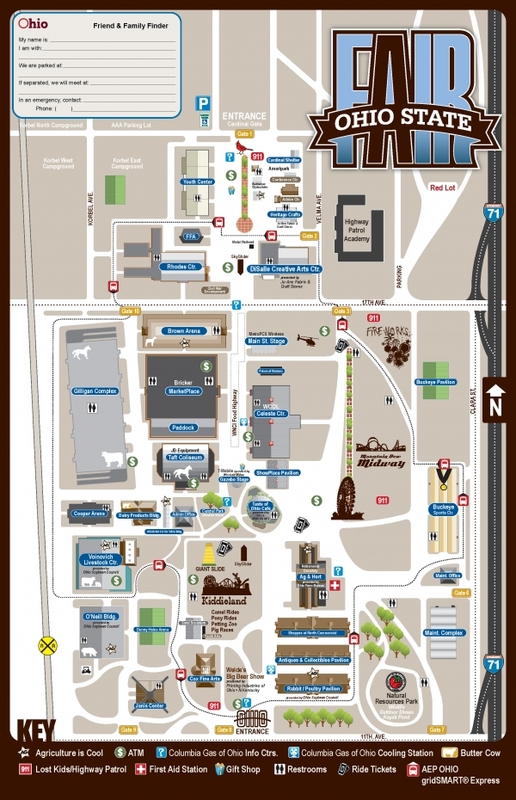 Click here to view a map of the fairgrounds. Admission to Spring Dairy Expo is FREE! Parking is $5.00 per entrance into the fairgrounds, which is paid in cash at the front gate. Weekend passes are also available for purchase.